Qantas made headlines when it announced new nonstop flights from Perth to London back in December with its new Boeing 787 Dreamliner. The 14,498 kilometre flight will be the first passenger flight to directly link Australia with Europe. What was once a multi-day trip will take approximately 17 hours once the new service launches in March 2018. “When Qantas created the Kangaroo Route to London in 1947, it took four days and nine stops. Now it will take just 17 hours from Perth non-stop. This is a game-changing route flown by a game-changing aircraft. 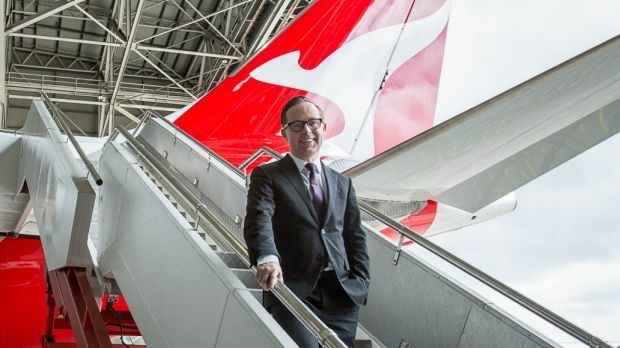 Australians have never had a direct link to Europe before, so the opportunities this opens up are huge,” Qantas Group CEO Alan Joyce said in a statement. The announcement is great news as it opens up tourism and other opportunities between the two nations. Tickets to the highly anticipated service will go on sale shortly. However, exact dates and fares are still closely guarded secrets at this time but a Qantas spokesperson has said that travellers can expect competitive fares. Because the flight is one of the longest in the world, Qantas Group has focused its attention on improving the flying experience with improved air quality, reduced cabin noise, and decreased turbulence. Other additions also include enhancements to the cabin itself for all passengers. “When we designed the interior of our 787s, we wanted to make sure passengers would be comfortable on the extended missions the aircraft was capable of. That’s why we have features in our Economy seats that other airlines reserve for Premium Economy. Our Business Suite has been nicknamed ‘mini First class’ by many of our frequent flyers,” Mr Joyce said. The Boeing 787-9 Dreamliners that will be used for the new route will carry 236 passengers in Business, Premium Economy, and Economy. The new non-stop Perth to London flights will be operated through Qantas’ existing domestic terminals. These terminals are currently undergoing renovations to accommodate international flights, with the State Government contributing $14 million towards those fit outs. Pending a commercial deal, Qantas is expected to move its entire operations to an expanded Terminal 1 by 2025 to simplify the journey for all its travellers.